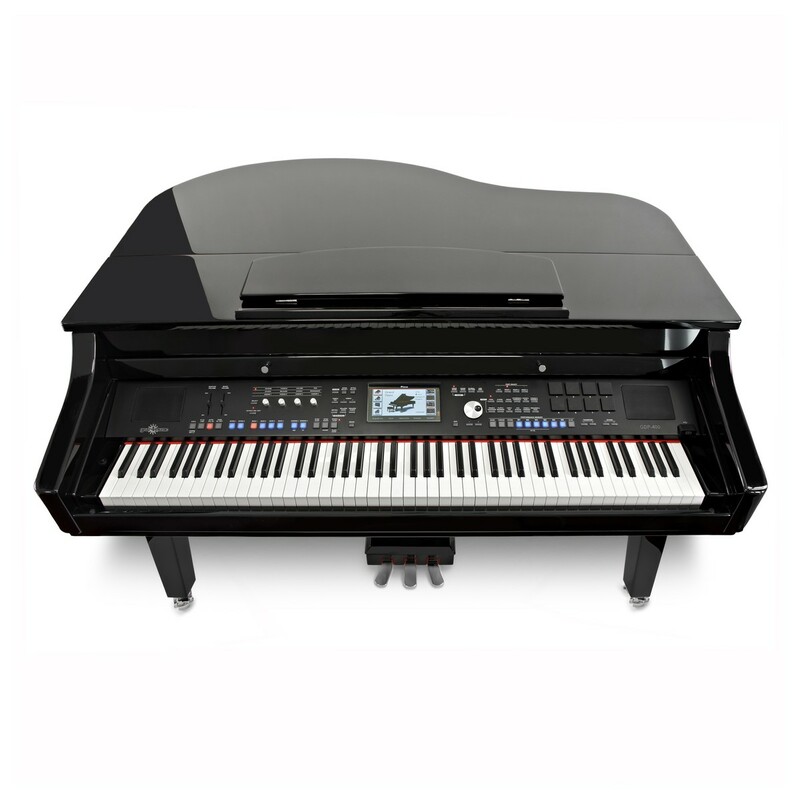 The GDP-400 Digital Grand Piano is a stylish and advanced digital grand piano. 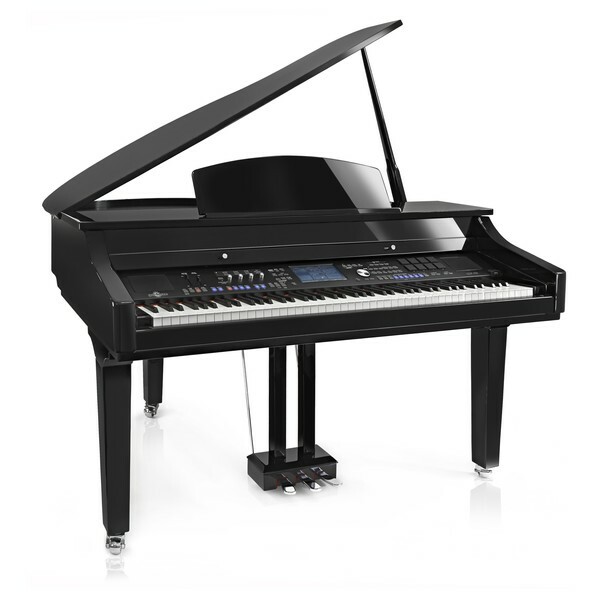 With satisfying touch and playability, touch screen display, touch sensitive pads and a wide variety of sounds, the GDP-400 offers the elegance of a traditional grand and the features of a modern advanced digital piano. With a large number of voices and styles, and 128 polyphony, this stunning piano sounds as good as it looks. 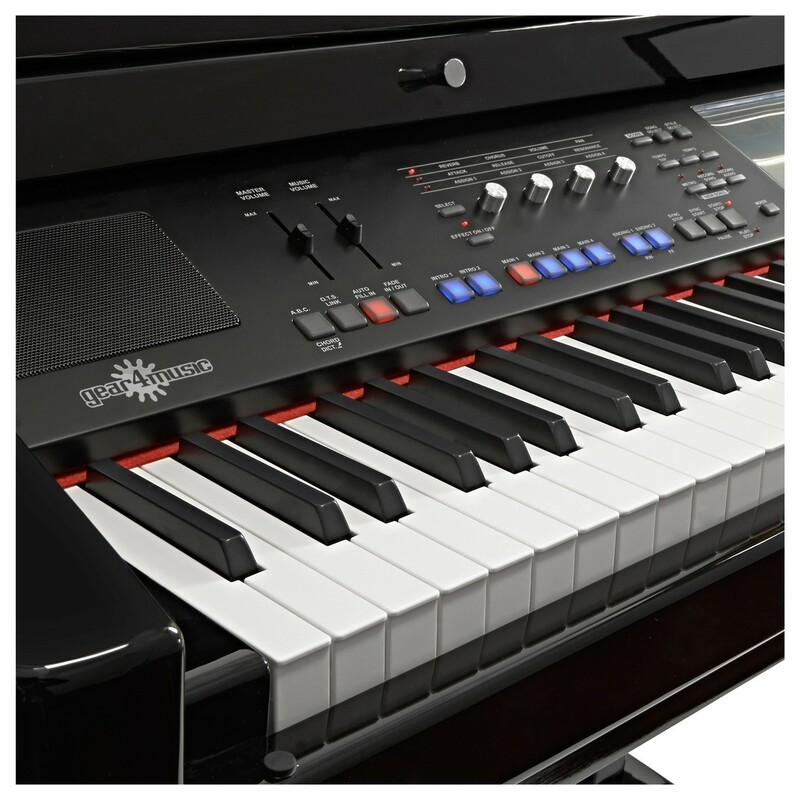 Featuring a full size keyboard of 88 hammer action keys with adjustable touch response, this piano has an authentic feel that is designed to mimic a grand piano but at an unprecedented price. 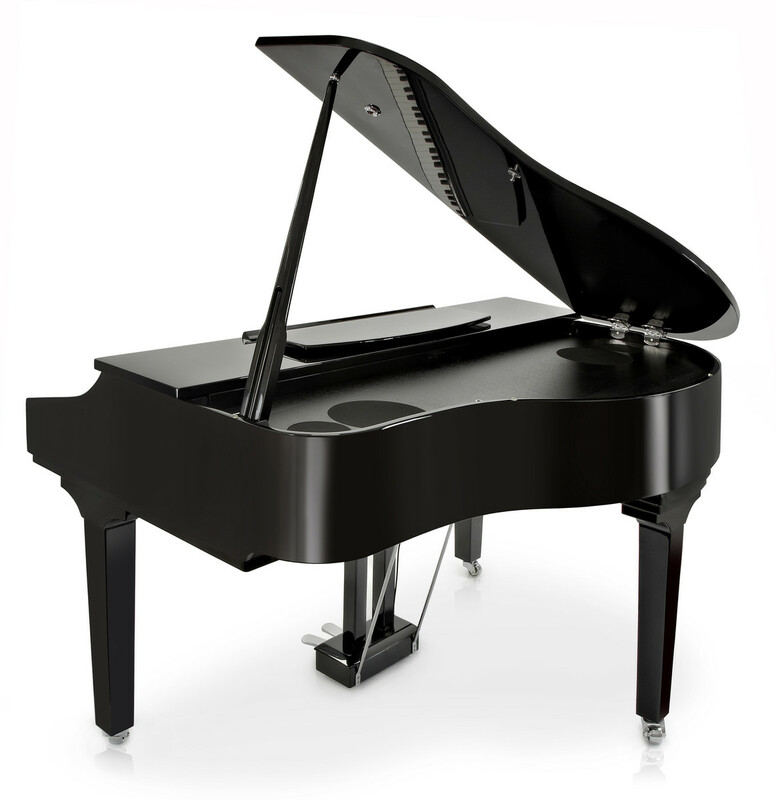 As well as this, the GDP-400 has a huge selection of 672 realistic instrument voices, including three default grand piano sounds, ninety-five different styles of guitar & bass and an extended library of special effects. 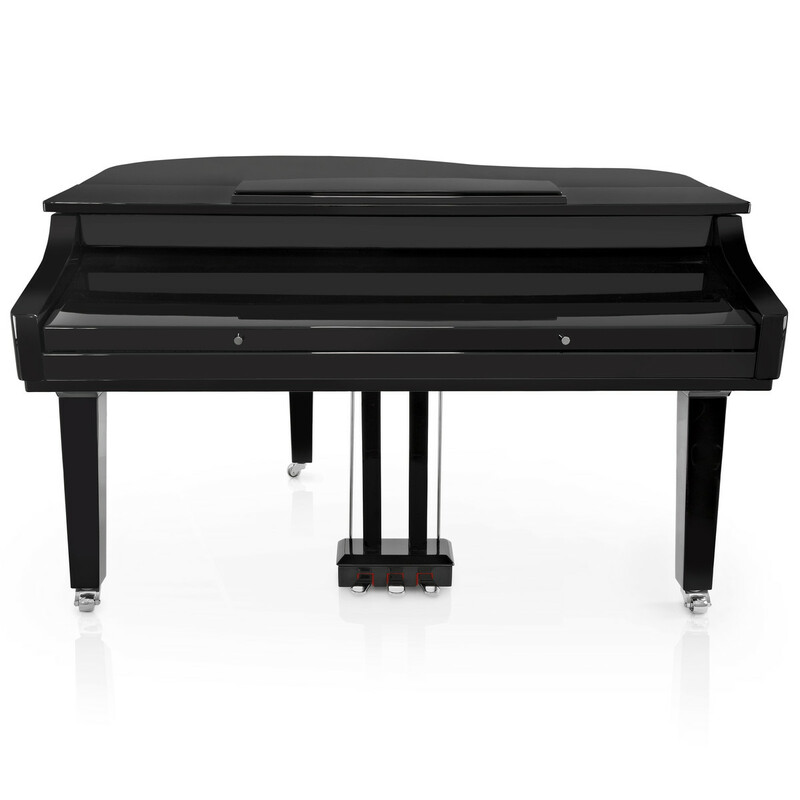 The GDP-400 is also available in a great value stool pack, including a high quality, gloss black piano bench. Using our many years of collective experience we have developed a wide range of instruments and equipment including drum kits, acoustic and electric guitars, woodwind, brass, string instruments and speaker systems. We are proud to offer these to our customers alongside hundreds of other well-known brands. Working closely with our carefully chosen manufacturers, we endeavour to produce reliable, great sounding instruments at a price that is accessible to all.